Yellow Cake closer to critical mass – Yellow Cake, the investor in physical uranium, has just announced that 12,000,000 new shares have been placed with existing and new institutional investors at a price of £2.15 per share. The company had been looking to raise $30m but had sufficient demand up to the issue size to £25.9m (approximately $33.9m). The placing price represents a discount of 4.0% to the NAV on 31 March 2019 and, therefore, will have been dilutive for existing shareholders. The shares have dropped this morning on the news. Some of the directors subscribed for shares (39,086 in total). The reasons for the issue were described in the announcement of the placing yesterday (11 April) and we have reproduced an extract of that announcement below. Yellow Cake is a specialist company operating in the uranium sector with a view to holding physical uranium for the long-term. In July 2018, the company completed its oversubscribed IPO and concluded the purchase of US$170 million of uranium (c. 8.1 mmlb) from Kazatomprom for US$21.01 per pound. Shortly following the IPO, the company purchased an additional c. US$8.2 million of uranium (350 klb) from Kazatomprom at a price of US$23.30 per pound, which was delivered to Yellow Cake on 23 August 2018, resulting in the company owning a total of approximately 8.4 mmlb of uranium at an average price of US$21.10 per pound. Since the company’s initial uranium purchases, the price of uranium has increased to US$25.88 per pound, a 23% increase in value from its average entry price and has traded as high as US$29.25 per pound, a 39% increase on the average entry price. Yellow Cake was founded by Bacchus Capital on the fundamental premise that uranium, as a commodity, is structurally mispriced. Nuclear power remains a key, and growing, element of the global energy supply with 445 operable reactors globally, and 183 new reactors either under construction or planned. 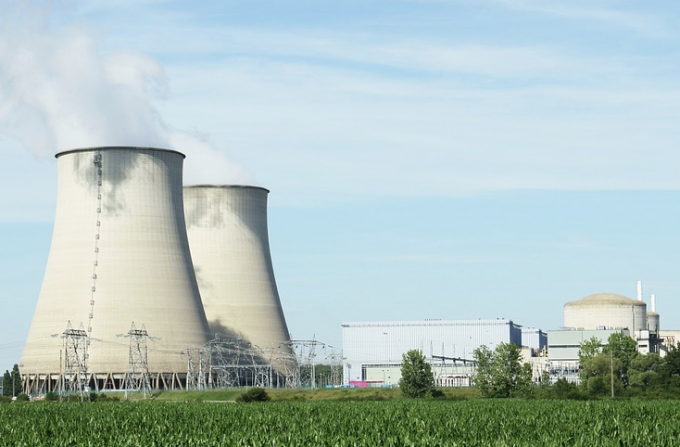 In an environment of increasing electrification amongst OECD countries, nuclear power remains the least expensive low-carbon power option (according to the NEA and the WNA), and can be considered a key source of baseload energy in most low-carbon future scenarios. Despite the increase in the price of uranium during 2018, at a price of US$25.88 per pound the company estimates that around half of uranium producing operations were loss making in 2018 on a total cost basis. Due to the declining uranium price environment since 2011, the industry has seen increased supplier discipline and selected operations have been shut down, suspended or scaled back (such as Key Lake / McArthur River, Kazakh ISR production, Rabbit Lake, Kayelekera and Langer Heinrich). There have been limited new sources of production and analysts estimate that the incentive price for new production is at least US$50.00 per pound, well above the current spot price. Underinvestment in new uranium exploration and development has resulted in a production supply gap, which is currently being met by secondary sources and inventories, with supply deficits expected to arise in the future. Following admission, the total number of shares in issue will be 88,215,716.